SNAV and Grandi Navi Veloci cruise ferries in service to Sardinia ensure a comfortable and safe navigation to all passengers, from commuters to those who wish to spend their holidays on the island. The guest and hospitality service is based on the cruise ship model, indeed numerous comforts are available on-board for a more comfortable and pleasant trip. Among these, there are double bed suites and cabins looked after in the finest details. Moreover, passengers will be able to enjoy a restaurant, SKY-TV room, snack bar, discothèque, piano bar, arcade, boutiques and a children’s area. You can also embark your car, motorcycle, camper or caravan on-board our ferries in service to Sardinia. Moreover, you can benefit of our special offers that include discounts and price reductions. You can book your tickets online conveniently from home, saving time and efforts. Grandi Navi Veloci and SNAV invite you to discover the beauties of Sardinia, an island that always astonishes who choose it as destination for their holidays. Be charmed by the natural landscapes of Costa Smeralda and other main bathing locations that have always been the ideal destination for those to love unspoiled nature thanks to their pink beaches and turquoise sea, as well as for those who love the most exciting night life. 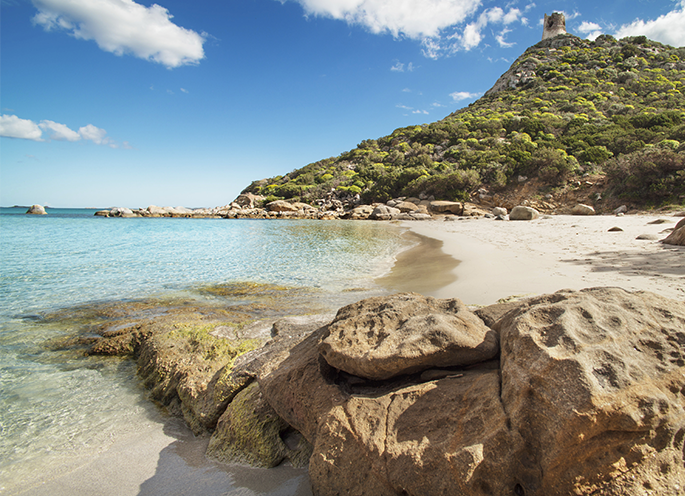 Discover caves, marine parks and natural monuments, rocks sculpted by the sea and wind, which are numerous along the entire Sardinian coast; finally, visit the inland towns at the discovery of cultures and traditions that have remained intact in time. With SNAV and Grandi Navi Veloci, your holidays in Sardinia will be truly an unforgettable experience.